At an enormous USD$548 million (AUD$770m) America’s MegaMillions lottery has become the third highest jackpot in MegaMillions history. 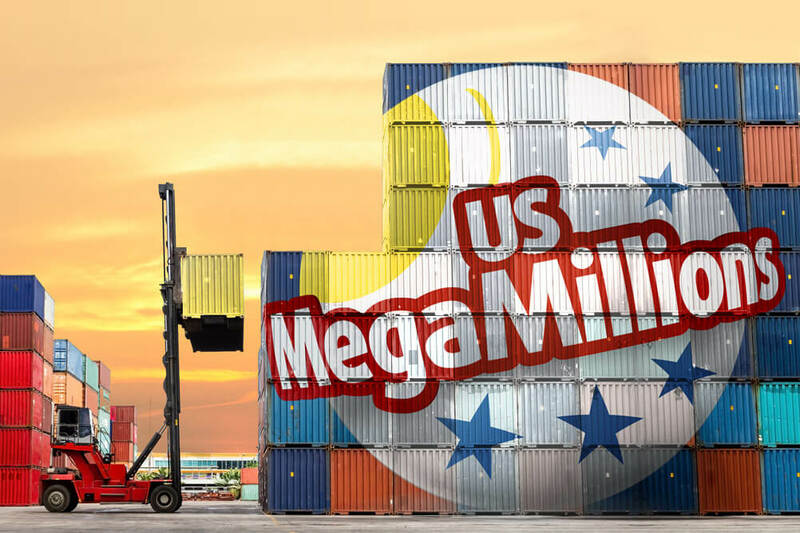 October 11, 2018 - At an enormous USD$548 million (AUD$770m) America’s MegaMillions lottery has become the third highest jackpot in MegaMillions history. The jackpot rose nearly USD$80 million after Wednesday’s USD$470 million (AUD$660m) draw failed to produce any winners. This incredible jackpot is now the third highest in MegaMillions history and ninth highest of all time. If Saturday’s jackpot isn’t won, it could become the highest MegaMillions jackpot in history. Whilst lottery players all over America are hoping they will be the lucky one to cash in on the huge jackpot, Australians can also get involved. Australian residents aged 18+ (excluding South Australian residents) can bet on the outcome of this lottery at Lottoland. The only requirement is that you have a Lottoland account. Previous Australian MegaMillions winners at Lottoland include a 56-year-old grandmother of eleven who won AUD$1.3 million and a 32-year-old mother of nine who won AUD$808,000. The official draw takes place on Saturday, 13th October, at approximately 2:00pm AEDT. Results are based on the official US Powerball draw, with Lottoland.com.au the provider of the approximate AUD$770 million* prize. *Payout as 30-year annuity or discounted lump sum at the players discretion. Subject to 38% reduction as per T&C’s. Lottoland is an Australian registered company, regulated in the same way as all other corporate bookmakers, such as BetEasy, Sportsbet, and Ladbrokes. We have paid out more than $35 million in winnings since the beginning of 2016, including one $1.3 million winner last year. We have more than 700,000 registered customers in Australia. We are investing more than $30 million this year in sponsorship and promotions, including our sponsorship of sporting clubs such as Manly Rugby League Club in Sydney and the Sydney Swans in the AFL. Lottoland Australia also supports the Royal Flying Doctors in Darwin with an ongoing relationship.